4th to 6th February: So, it was time to leave Gunning, we’d only planned on an overnight stay, and in our usual style hadn’t really thought too much about where we were heading. 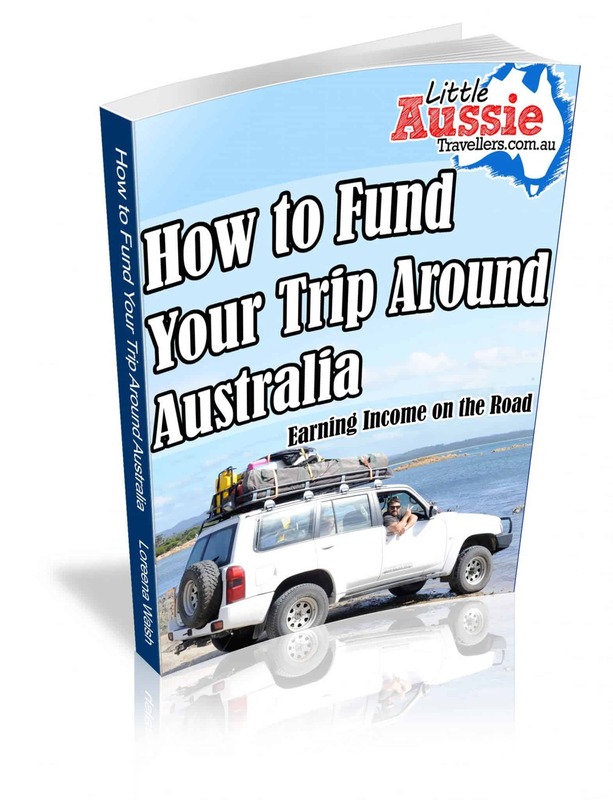 We knew there were several options further down the Hume Highway, and we figured we’d just drive until we found something suitable with enough room for us, that was a free camp, dog friendly camping, and of course suitable for kids. It turns out that place was Jugiong. On arrival we found a tiny town, with a huge showground, which is where the free camp is located. Next door is the local pool which has hot showers, a definite plus for travellers, and there’s a service station just down the road with all the basics you’ll need as well as a top little cafe across the road that boasts lots of local tasty treats. 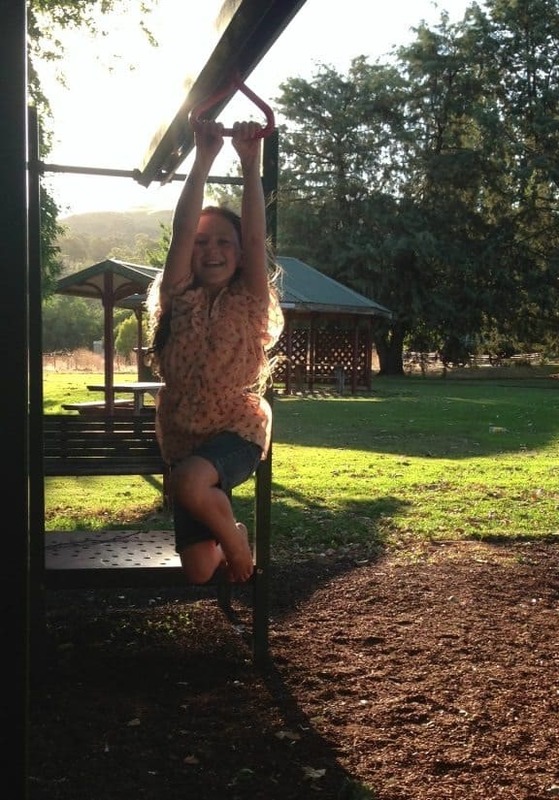 Another bonus – A kids playground. It turns out it was everything we needed with plenty of space, and we even managed to score a shady campsite, what more could you ask for. 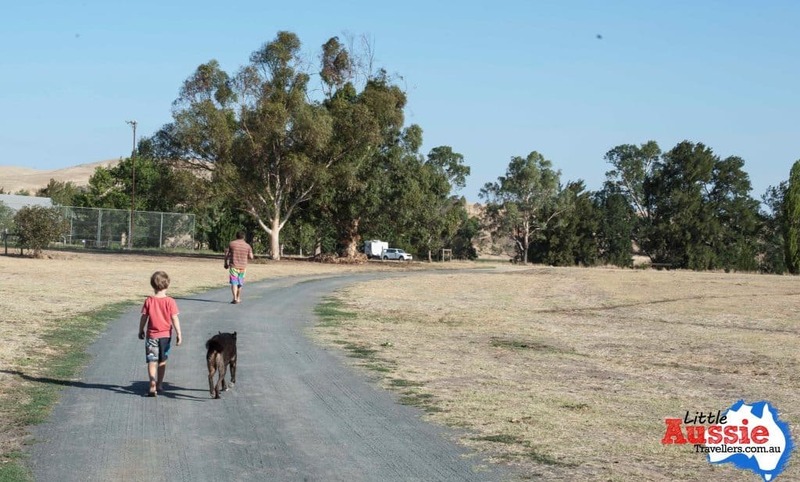 Generally when we arrive in a place, we set up then head off for a bit of a look around, there is lots of gorgeous farmland around Jugiong and the Murrumbidgee River flows just behind the showgrounds too, perfect for taking the kids for a fish. For a quiet little place, Jugiong turned out to be quite an eventful little stop for us. We tested out the Weber with our first ever roast, and we weren’t disappointed in the least. Byron lost his 2nd tooth in two weeks. 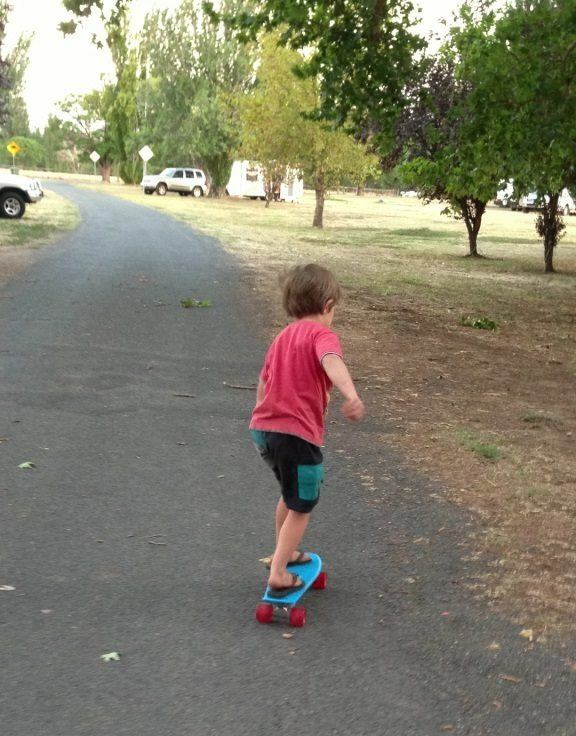 Byron also learned how to skateboard, totally unrelated to the loss of his tooth by the way, and Amahli, not one to be beaten decided she couldn’t let her little brother beat her to learning a new skill, so gave it a try too. The flat road made a perfect skate arena. 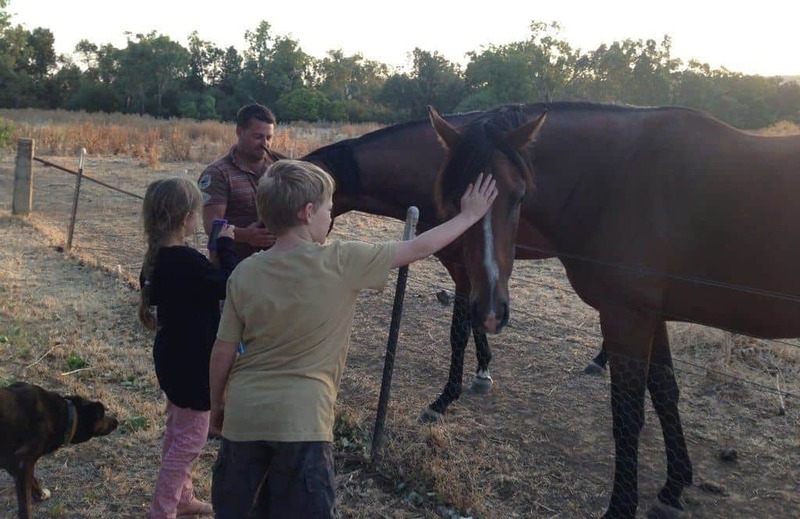 We made friends with a couple of horses in the paddock behind the swimming pool, cheeky things they were getting lots of pats and we couldn’t resist giving them a carrot each in reward for their cheeky charms. 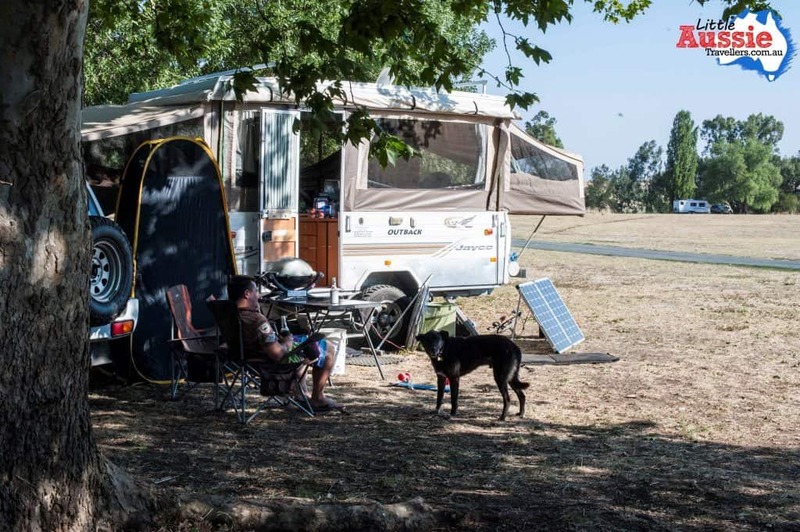 If you’re ever travelling down the Hume, then we can definitely say that Jugiong is a great little town when you’re looking for campsites between Sydney and Melbourne, with lovely locals. It’s a nice way to spend a few days relaxing, fishing and enjoying the space and peace. 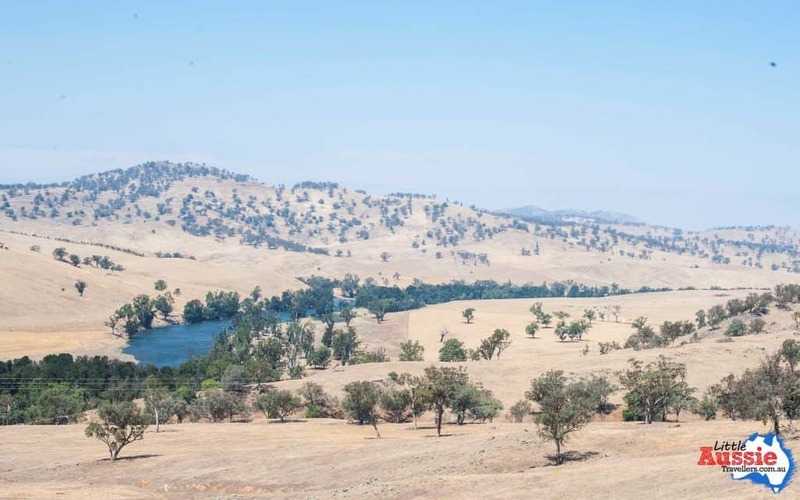 I love the long track pantry at Jugiong – we try to stop in there every time we are driving down the Hume. We have stayed there a couple of times, last visit one of the locals told us it was only because of the generosity of the donations that campers have made, that they were able to put in the dump point and solar to the showers for hot water.